The Surgeon General’s Spotlight on Opioids and Digital Postcard calls for a cultural shift in the way Americans talk about the opioid crisis. Read the Spotlight and see the actions you can take. Public Health Reports (PHR) is the official journal of the Office of the U.S. Surgeon General and the U.S. Public Health Service. Published since 1878, PHR has been a key resource for those working in the field of public health. Communities that are healthier are more prosperous. That is why the Surgeon General has commissioned a report demonstrating the intersection between health and the economy. We want to hear about your ideas, examples, and data and have an open request for information until November 5, 2018. Please submit your stories to Docket No. CDC-2018-0082 in the Federal Register. The U.S. Public Health Service (USPHS) Commissioned Corps is a diverse team of more than 6,500 highly qualified, public health professionals. Learn more about the USPHS. Naloxone is used to temporarily reverse the effects of an opioid overdose. 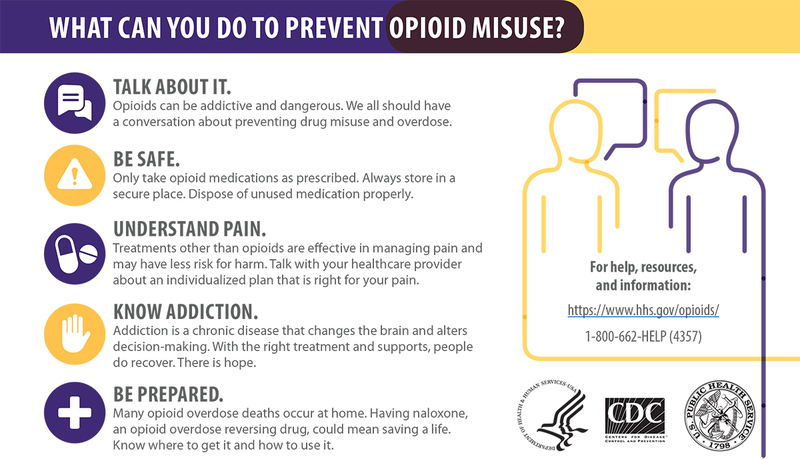 Expanding the awareness and availability of this medication is a key part of the public health response to the opioid epidemic. Learn more about the advisory.